Want to know the list of countries where you can travel without having to apply for a visa from your country?. 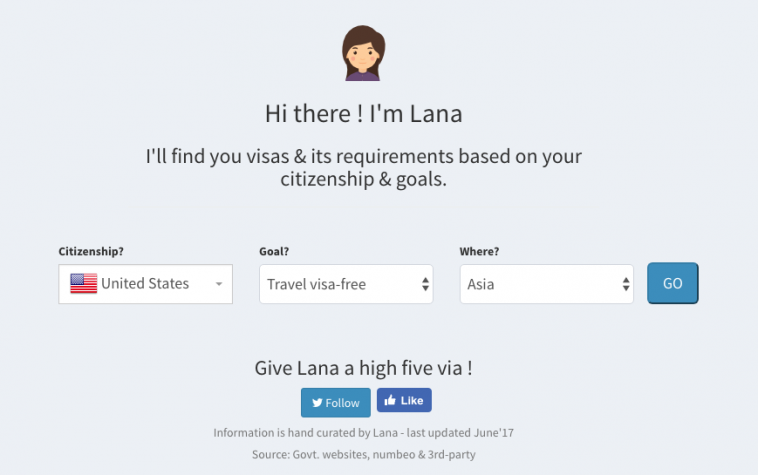 Visadb is an interesting startup that enlists all the countries without such requirements. Visa is issued on arrival in that country. The website is currently in beta mode where data is pulled from Government websites, third party resources so it is advised to double check the requirements with their national embassies. We have randomly checked few countries (Asia in particular) and the information is correct. Want to go for a vacation in your continent or willing to open a business outside your country?.